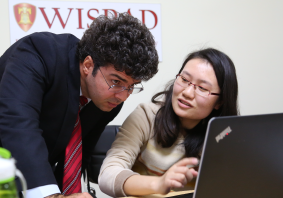 The course "Strategic Nonprofit Management I" is the first within WISPAD’s module on Nonprofit Management. It emphasizes the differences and points of intersection between management strategies for nonprofit and for-profit organizations. The course integrates a wide range of skills for nonprofit management from basic strategic actions commonly used in nonprofit organizations to practical tools, processes, and frameworks used to address crises and changing scenarios in complex organizations. It also assesses principles used for market assessment, marketing, communication, program evaluation, and human resource management from simple to highly complex organizational structures. 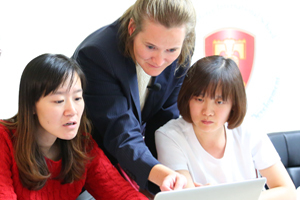 The course draws from real-world case studies from organizations in the United States and in China in order to provide a practical integration of managerial tools with organizational strategy and sound governance. The Workshop "Nonprofit Project Management" is a first level Workshop within the Strategic Nonprofit Management series. It is based on the international standards for project management developed and updated by the Project Management Institute (PMI – www.pmi.org). The course explores the fundamentals of project management and distinguishes between a project and a program. The class examines the ten PMI knowledge areas: integration, scope, time, cost, quality, human resources, communications, risk, procurement, and stakeholders, and how all of these areas are analyzed, estimated, and managed in planning and executing a project. The project management life cycle is explored from initiating through planning, execution, controlling, and closing a project. Students are introduced to analytical methods, skills, and tools they can use to apply to their own nonprofit business projects. Strategic Human Resource Management is a second-level course within WISPAD’s module on Nonprofit Management, and a follow-up to the course on Strategic Nonprofit Management. Realizing the paramount role of human capital for organizational success, the course provides tools for critically assessing key elements and stages within HR processes related to optimal job conditions and workforce management. These tools aim to promote higher levels of alignment between the organization’s human capital, its vision and mission, and the accomplishment of its main purposes and objectives. The course integrates a wide range of skills and frameworks of HR management commonly used among nonprofit and public agencies. Drawing from psychology, engineering, logistics, marketing, finance and economics, the Workshop also uses meta-HR multidisciplinary decision-making models in order to provide a more enriching perspective of strategies to optimize the employment of the organization’s most important asset. 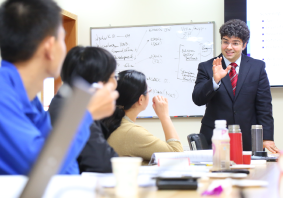 The course draws from real-world case studies from organizations in the United States and in China in order to provide a practical integration of managerial tools with organizational strategy and sound management. The Workshop "Nonprofit Program Development and Marketing" is a second-level course within WISPAD's module on Nonprofit Management, and a follow-up to the course on Strategic Nonprofit Management. It aims to address the current needs of new and established nonprofit organizations and social agencies to assess the needs of beneficiaries and other core constituencies towards the development and implementation of programs and services that maximize the use of organizational resources for optimal social impact. The Workshop integrates a wide range of nonprofit marketing skills and tools including market analysis, constituency assessment, segmentation, targeting, and positioning strategies as well as advanced techniques for program and service development, including the program’s core operational features, pricing, promotion, and place of delivery. The Workshop also focuses on mastering advanced communicational skills, as well as software and other tools currently used by successful nonprofit organizations aiming at maximizing social impact, fundraising effectiveness, and general public support. 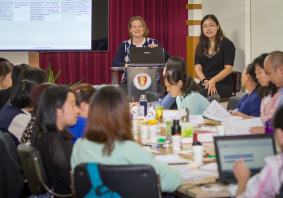 The course draws from practical lessons from real-world case studies from nonprofit organizations in the U.S., Europe, and China. Negotiation Skills is a second-level course within WISPAD’s module on Nonprofit Management, and a follow-up to the course on Strategic Nonprofit Management. Considering the importance that negotiation has as key step in many managerial processes, the course provides tools and develops skills for performing successful negotiations in core activities involving programs, finances, human resources, and governance. It also focuses on skills and tools required for successful negotiation processes involving partnerships as well as interactions with other organizations and public agencies. In this regard, the Workshop equips participants with a framework for negotiation that can be tailored to different contexts commonly used among nonprofit and public agencies. The course relies on a highly interactive design, using role plays and group discussions to practically convey key elements of the multi-context negotiation framework. The Workshop draws from real-world case studies and practical scenarios of real negotiation processes from Western and Asian organizations. It aims to harmoniously integrate acquired negotiation skills and tools in order to enhance key managerial processes and the probability of success of strategic partnerships and collaborations. The Workshop on Strategic Volunteer Management is a third level workshop within WISPAD’s module on Nonprofit Management, and a follow-up to the Workshops on “Strategic Nonprofit Management” and “Strategic Human Resource Management.” It highlights the opportunities for non-profit organizations to strategically involve volunteers to help achieving their organizational goals and missions. The Workshop introduces principles and frameworks as well as practical skills and tools for managing every step of the journey required for involving volunteers. Some of these strategies build upon approaches covered in the Human resource management Workshop. It focuses on a competency-based approach in volunteer accession and performance management, and stresses the importance of balancing program effectiveness and accountability with risk reduction in volunteer management. The module draws from relevant case studies to provide practical insights into the challenging yet meaningful efforts of engaging volunteers. "The Workshop on Strategic Nonprofit Governance is a third level Workshop within WISPAD’s Strategic Nonprofit Management module. It equips founders, directors and managers of nonprofit organizations and social agencies on practical skills to structure and define the functions of highly effective Boards. The Workshop also integrates a wide range of practical skills for strategic nonprofit governance related to the efficient recruitment, motivation and development of Board members, as well as their relationships with chief executives. It also provides a highly practical dimension for the development of strategies related to the planning, stewardship, fundraising and communicational roles of individual Board members and of the Board as a team. 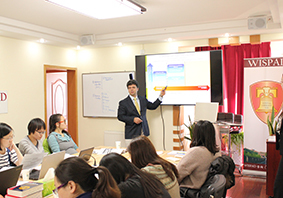 The Workshop assesses best practices used for successful strategic governance drawing from real-world case studies from organizations in the United States, Europe and China. Throughout the practical analysis and exercises, participants acquire the knowledge, master the skills, and develop the strategies that their organizations need to enhance internal accountability and external transparency in the context of increasing competition and shifting governmental regulations. 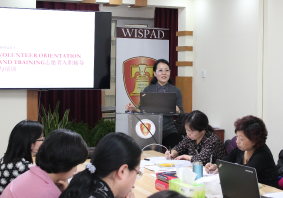 "Program Evaluation I" is the first course within WISPAD’s module on Program Evaluation. It focuses on techniques and analytical tools required to assess the effectiveness of project interventions to achieve their desired outcomes and impacts. A variety of program evaluation techniques and models are discussed as key statistical foundations are laid through the use of MS Excel in order to perform basic statistical analysis. 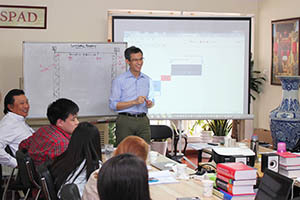 Building upon these foundations, the Workshop progresses to more advanced techniques such as random assignment and quasi-experimental and non-experimental evaluation methods. The examples used for mastering Program Evaluation techniques are based on case-studies from health, education, and poverty alleviation projects of nonprofit and governmental agencies in developed countries and emerging economies. This course assumes no prior knowledge of statistical methods. 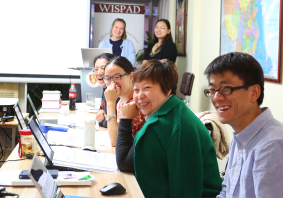 The Workshop “Applied Program Evaluation” is the second course within WISPAD’s module on Program Evaluation. 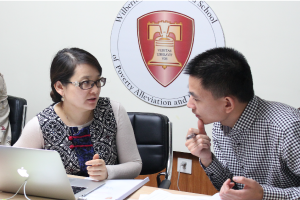 It builds on the foundations laid in WISPAD’s “Program Evaluation I”, and is reserved exclusively for alumni of this first Workshop. “Applied Program Evaluation” focuses on the methodologies, techniques, skills and tools required to quantitatively and qualitatively assess the effectiveness of programs, from need assessment, process evaluation to different impact evaluation designs and data collection. It applies these methodologies to the actual program evaluations of the participants’ own organizations. Each participant is expected to contribute material and results from their own program evaluations before the beginning of the Workshop, which will form the basis of the course discussions. The Workshop will also review and apply statistical data analysis to selected real datasets from program evaluations of the participants’ organizations using MS Excel software. The Harold Howell course on Financial Leadership and Management for Nonprofit Organizations is a sequential course within WISPAD’s module on Nonprofit Management. The course prepares participants to assess, design, and implement financial management and control-oriented strategies in nonprofit organizations. It progressively builds financial management and control capabilities from principles of financial leadership required for the strategic diagnosis of the financial status and health of nonprofits. The course gradually develops foundations for assessing financial strategies used by nonprofit organizations and for designing specific budgets used for their efficient financial performance control. It also lays the foundations for the understanding of general fundraising principles adopted by successful nonprofit organizations. 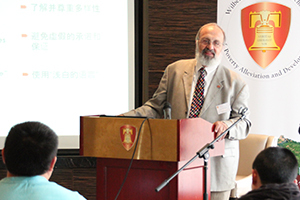 The course draws from real-world case studies from organizations in the United States and in China in order to provide a practical integration of skills for effective and ethical financial leadership and management. This Strategic Natural Disaster Preparedness and Relief Workshop is the first workshop focusing on important aspects of natural disaster preparedness for non-profit organizations. The workshop will review the basic principles of disaster response planning and apply those principles to the situation of a non-profit organization. The workshop will explore the research with respect to historical strategies and educational programs that have been used in the United States and internationally (principally Europe) to assess the strengths and weaknesses of each approach. In the workshop exercises, participants will develop alternative approaches to preparation of a target population for response and recovery from natural disasters. Those exercises will primarily focus on youth and children but may also be applicable to adults as well. 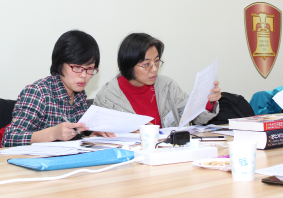 The workshop draws from real-world case studies of organizations in the United States and other nations. Special attention will be paid to analysis of cultural factors which might hinder or enhance implementation of strategies.